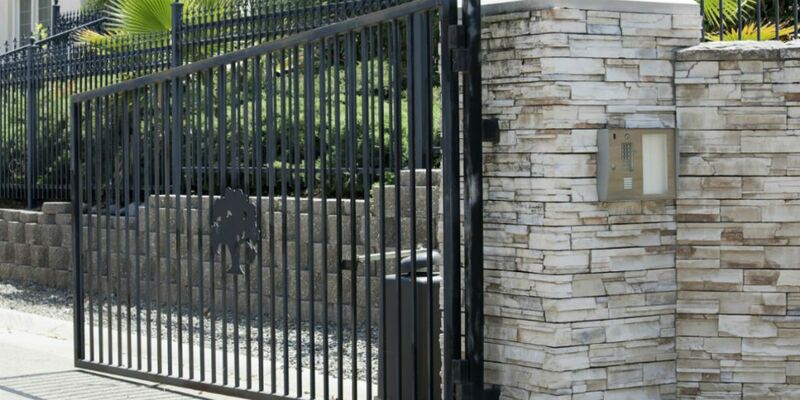 Sentry Garage Door & Gates offers a wide range of custom iron gates that are both aesthetically pleasing and functional. We have been providing quality craftsmanship since our inception and have a huge list of satisfied customers. We build gates that are designed to last a lifetime and you’re your premises safe and secured while enhancing the appeal of your outdoor space. If you need to install new iron gates or replace an old one, talk to us at (281) 520-3984 today! Sentry repairs all iron gate openers. Sentry designs, builds, & repairs iron gates. Iron security gate opener repair, service, & installation. WHY SENTRY FOR IRON GATES HOUSTON GATES & OPENERS? The beauty of iron gates lies in the fact that it can take any shape — they can be molded into any design of your wish. Add an access control system and you’ll have a best product ever. We have perfected the art of installing automatic iron gates over the years, which is why we guarantee quick and hassle-free installation at a time that is convenient for you. No matter what kind of iron gate you need to install — swinging gate, sliding gate openers, etc., we can handle all kinds of requests. Our team is experienced to handle the latest and most advanced automatic gate technology, so we can provide you with the best gate repair solutions. We also offer reliable maintenance and repair services all year round. So can rest assured by choosing Sentry Garage Door & Gates as your door and gate partner. When it comes to iron gate operators, we are the #1 choice for commercial and residential clients across Houston. We are committed to provide our clients with the best available gate openers at the most reasonable rates. We understand that you have more important things in life and you could do with one less thing to worry about. Hence, we take away the door and gate related responsibilities from your shoulders. We help you choose the best products, while our technicians install the gate openers quickly and efficiently. We also help you maintain the gate openers to ensure smooth operation and least hassles. We have already several households and businesses enjoy a great amount of privacy, security and convenience by providing the right gate opener. Now it’s your turn! Choose from our range of branded gate openers today. We also offer quick and hassle-free iron gate & iron fence installation services. We understand that iron gates need to be installed correctly to ensure longevity and durability. Improper installation leads to poor performance and faster wear and tear, leading to expensive repairs. Our team of technicians is highly trained and skilled and is well-versed with the various iron gate installation techniques that ensure proper installation at the first go. Our team reaches the location fully equipped and with all the necessary hardware and spare parts. This way repeat visits are avoided and the job gets done faster. No matter what kind of iron gates Houston, or gate opener you need to install, we can do it. Call us on (281) 520-3984 to discuss your requirements.